In honor of Dia de Los Muertos, I post an annual blog in honor of the whales that we've lost over the previous season. 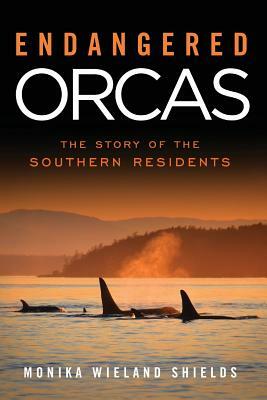 I must admit, these posts are getting harder to write; since I did my first one in 2010, the endangered Southern Resident Killer Whale population has fallen from 86 to 78 whales. The first whale we all suspected missing this year was Lulu, a 37 year-old female. When she didn't arrive with her closest living family members, the L43s, we were a bit worried, but since Lulu has been a bit of a rogue whale traveling with other groups from time to time we weren't sure she was gone until all the Southern Resident groups had been accounted for. Lulu was born in 1977 to her mother L7 Canuck. Lulu only ever had one other known sibling, L76 Mowgli, who was born in 1987 and lived for less than a year. The small mother-daughter matriline was tightly bonded, but sadly never grew any larger than the two of them. Canuck, despite being of reproductive age until just a few years before her death in 2010, never had any more calves. Lulu was also never seen with any calves of her own, and was suspected of being infertile. From 2007-2009 Canuck and Lulu spent a lot of time traveling with J-Pod in the absence of any other Ls, with the one exception being L57 Faith who did the same thing for the first two of those years. 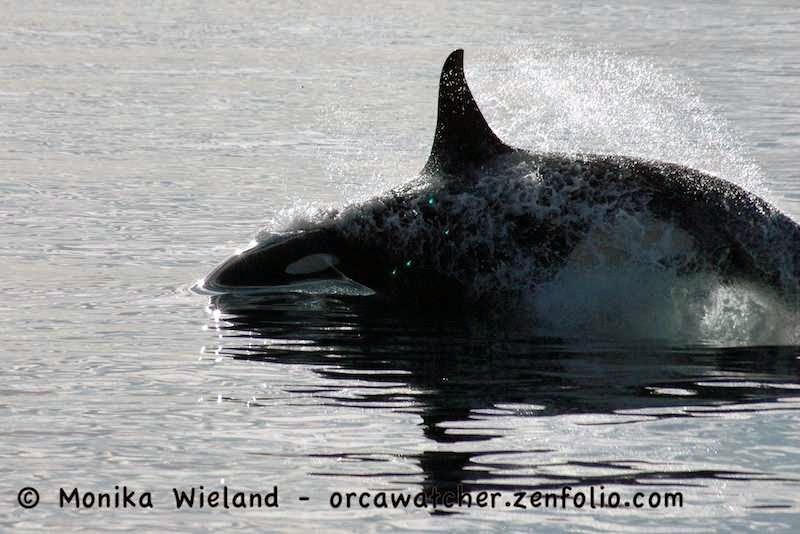 L57, a charismatic adult male, seemed to have an affinity for J-Pod females, and Canuck and Lulu were often seen as close associates of J2 Granny and J1 Ruffles. While pod splitting and mixing and matching would become a more frequent occurrence in the coming years, it seemed like these three Ls were the first ones to regularly break the trend of traveling with their own pod. Lulu was easily identified by her tall, distinctly sloped dorsal fin. She was a very surface active whale, known for her regular breaches and cartwheels. Even though she never had a calf of her own, she seemed to be a regular object of attention of J27 Blackberry, who liked to pursue her. 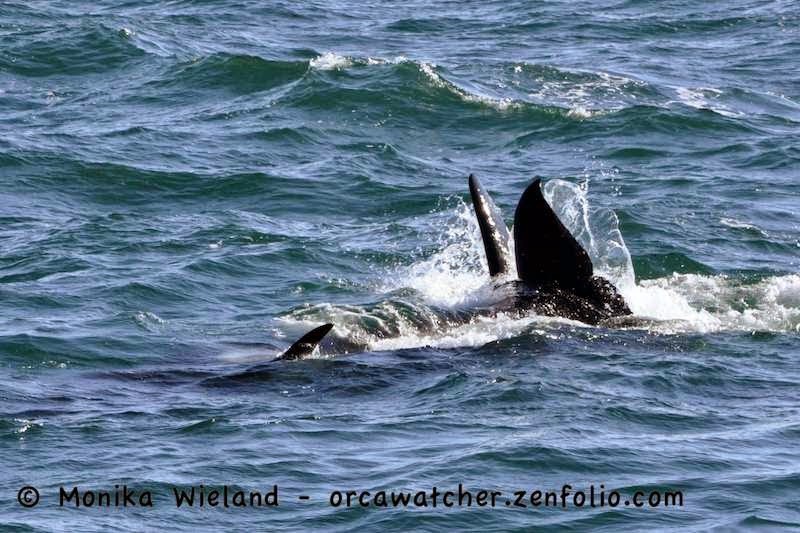 On one memorable afternoon in June of 2012, I remember after watching most of a superpod head north, the last two whales to pass by the west side of San Juan Island were Blackberry and Lulu, rolling around at the surface together and seemingly in no hurry to catch up with all the other whales. Sadly, with the death of Lulu, her matriline has come to an end. Indigo was the first known offspring of L54 Ino. Since I started watching these whales, Ino's matriline has spent the least amount of time in inland waters of any of the Southern Residents, so in some ways I feel like I know them the least. It was certainly always exciting to see them, because it didn't happen very often. Indigo has the distinction of likely being my least-photographed Southern Resident. 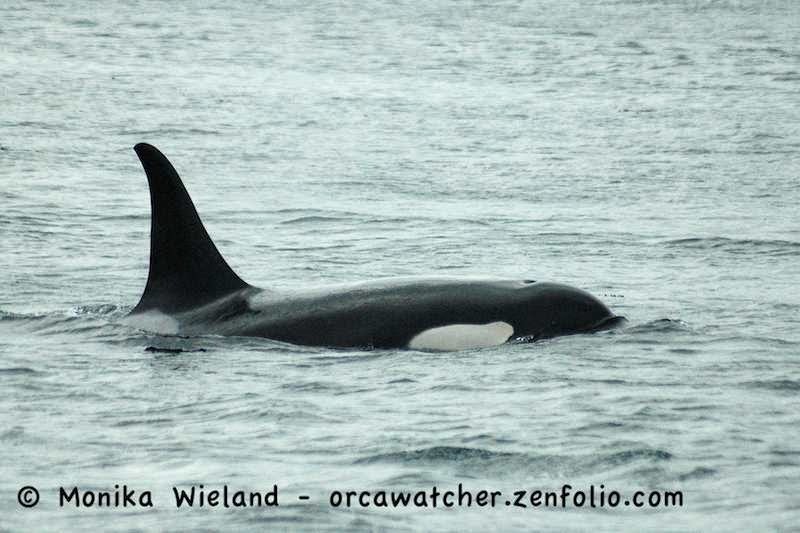 First seen in November of 2001, Indigo would later be joined by younger siblings L108 Coho and L117 Keta. Their family group would regularly travel with the other "rogue" L-Pod groups that rarely visit inland waters: the L2s and the L9s. In fact, as the L2s and the L9s dwindled in size, Indigo gained two adopted older brothers as his mom seemed to take L88 Wavewalker and L84 Nyssa under her care. Indigo had a distinct, tall (for his age) and narrow dorsal fin with a small nick near the top. I was keen to see what it would look like as he grew up, but sadly he died at the young age of 13, so we will never know. His death continues a disturbing trend of losing Southern Resident males in their teens and early 20s, when they should be in their primes. 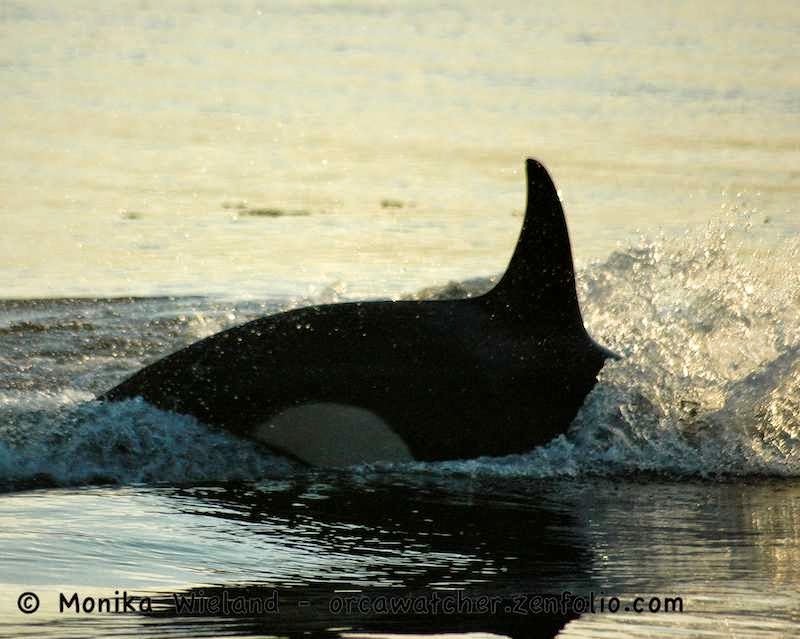 It was reported that Indigo was seen in 2014 when his family group came part way into the Strait of Juan de Fuca early in the season, but they never made it all the way into inland waters. 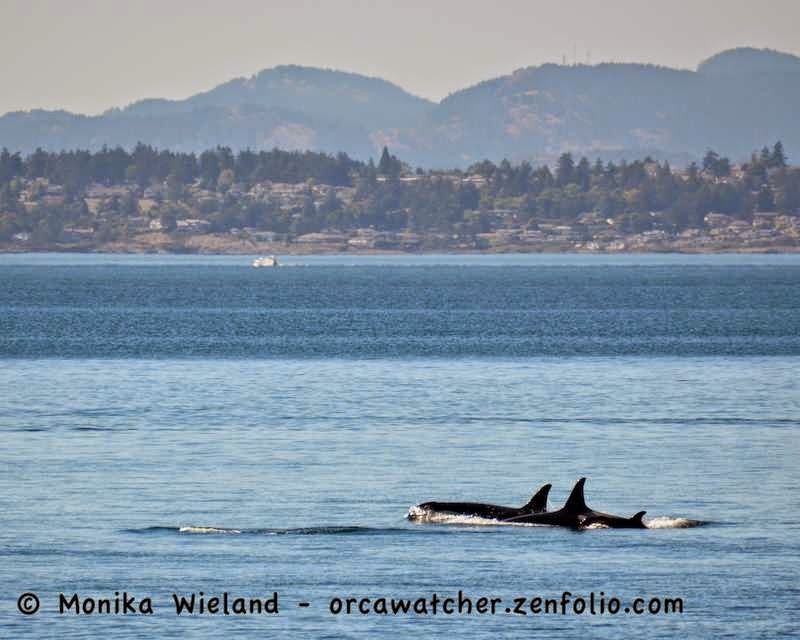 When the L54s did make their first appearance near San Juan Island on July 27th, he wasn't with them. The Center for Whale Research spent two days searching the spread-out superpod for Indigo, but sadly, he was listed as missing shortly thereafter. This one is perhaps the hardest death of the season to take. After more than two years without a birth to the Southern Resident Community, the news of L120's birth in early September to L86 Surprise led to tears of joy and a huge sigh of relief. Finally, after 25 months, we had the birth of a calf to celebrate! Sadly, this little one would only live for seven weeks before going missing. 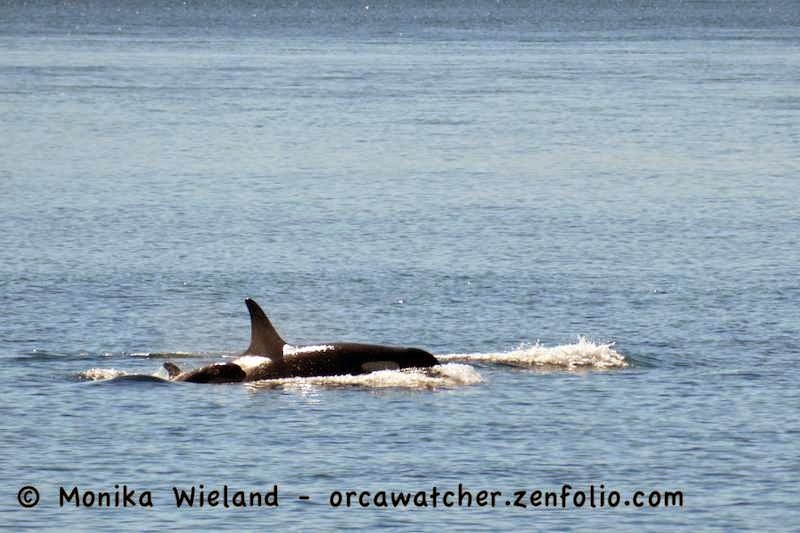 I only got one chance to meet little L120, as a small group of L-Pod whales came up past Lime Kiln Lighthouse. They got just north of the lighthouse, then turned around and went back south again, giving the many people crowded on the shoreline a second glimpse of the little baby. I remember very clearly my own excitement at seeing this calf being mirrored in the expressions and exclamations of the people surrounding me on the rocks. During his/her brief life, not only was mom right there, but auntie L27 Ophelia also seemed to never leave the calf's side. Ophelia, too, seemed to sense just how precious and fragile this little newborn was. For the first three years I wrote these Day of the Dead posts, I was able to take a brighter view at the end by also celebrating the new births that had occurred that year. Sadly, this marks the second year in a row where we have no new living whales to celebrate. We can only hope that of the many reproductive age females in the population, several of them are pregnant and will successfully carry calves to term within the next year. Historically, more births have occurred during the winter months than the summer, so my fingers are crossed that when the Residents return to inland waters again in the spring, it will be with one or more new babies in tow. So very sad. 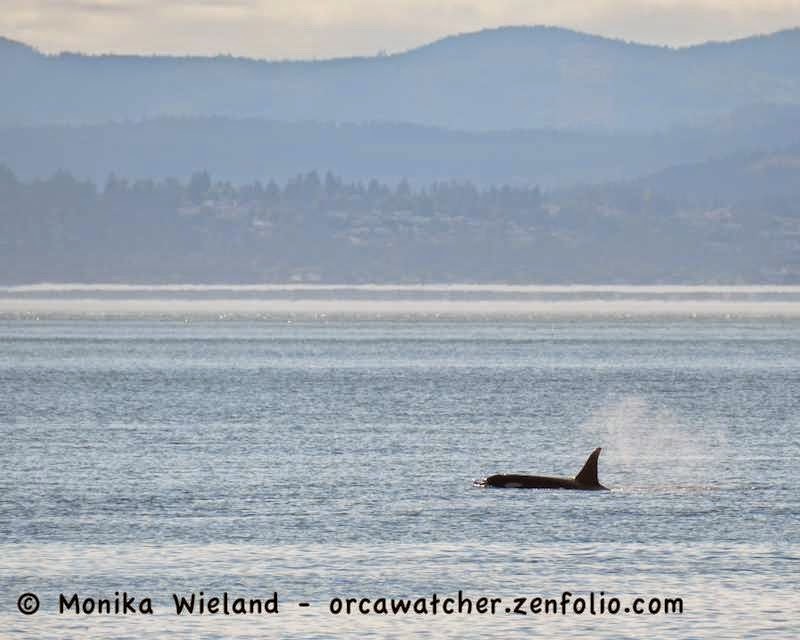 There is nothing as beautiful and awe inspiring as a wild orca.